Nishi Enterprise is the proud designer and manufacturer of top grade kiln support roller assembly products that are widely regarded as some of the best in the industry. Our products are used in numerous plants and industries for a broad range of functions. Our products are known for their uniform wall thickness which ensures perfectly uniform cooling. This helps to reduce structural defects and make them more user-friendly. A thick section called hot spot may lead to uneven cooling thus resulting in porosity, shrinkage and cracking. However, when you get products that are designed by our team, you can be sure of the fact that you won't have to face such issues at any circumstances. The advanced design of our products makes them extremely useful for a broad range of uses and functions. 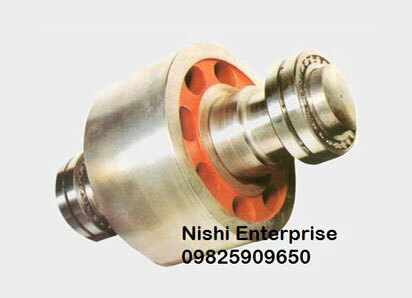 It is due to this reason that our kiln support roller assembly items are favored by clients in India and abroad.